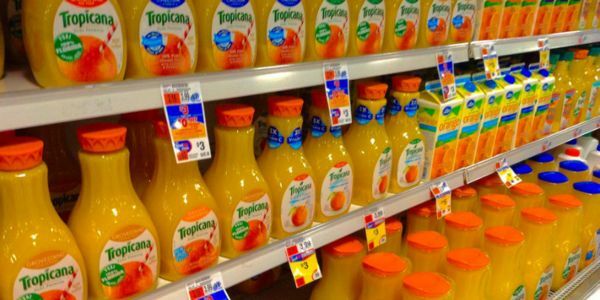 petition: Demand Tropicana Orange Juice Return To Cardboard Containers EVERYWHERE!! Demand Tropicana Orange Juice Return To Cardboard Containers EVERYWHERE!! Prior to the last decade or so, Tropicana packaged its orange juice in waxed paper cartons — and still does in states that forbid plastics. But for the rest of the nation, Tropicana switched to gallon and 1/2- gallon PLASTIC bottles for its orange juice products. This means millions and millions of plastic juice bottles that go into our landfills every year. Sadly too many of their competitors followed. The result — even more millions of plastic packaging contaminating the soil. Sign to demand that Tropicana — and all the store brands aping their packaging do the right thing: Tropicana, step up for the good of our nation! Ditch the plastic packaging for your orange juice and lead the way!! Stop contributing to the pollution of this planet IMMEDIATLY!